Polot - PZL P.11 1931r. The PZL P.11 airplane is a single-seat fighter aircraft, with a duralumin construction and a high-wing brace system. It has a worn-out cabin and a fixed chassis. In 1928, the Polish government decided to transform Central Aviation Works into PZL State-owned Aviation Works. At the same time, it was decided to build a new factory at Okęcie-Paluch. 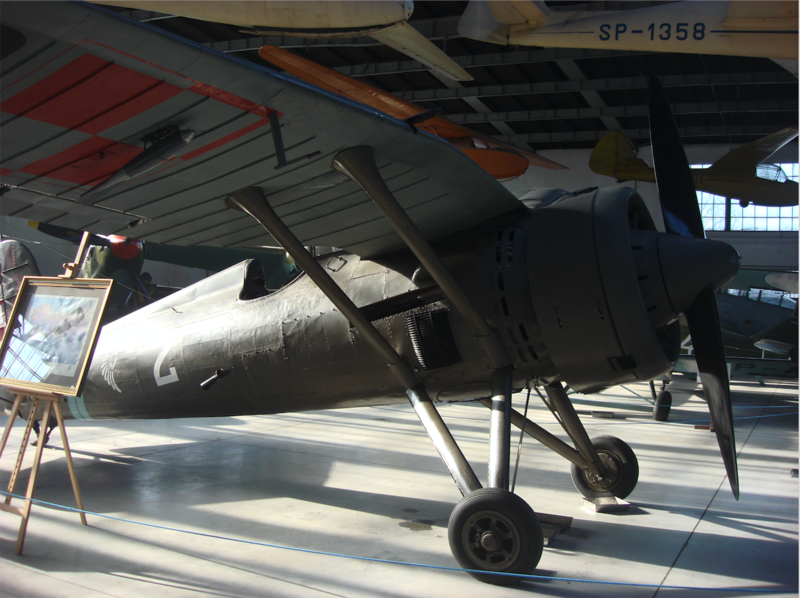 PZL after Centralne Zakłady Lotnicze assumed the production of wooden license fighter aircraft Spad S-61. A few more were built under the PZL brand. But the decision was made to end their production. PZL P-1 - fighter aircraft built under the direction of Zygmunt Puławski. The first flight took place in September 1929 and gave birth to the whole family of fighters. PZL Ł-2 - a connecting aircraft, built under the direction of Jerzy Dąbrowski and Franciszek Kott. The prototype was flown at the end of 1929 and only 30 pieces were built. PZL-3 - a bomb plane, powered by four engines, designed under the direction of Władysław Zalewski. The program has not been implemented. PZL-4 - a passenger plane, powered by three engines, designed under the direction of Zygmunt Bruner and Stanisław Prauss. PZL-5 - a school and sports plane, under the direction of Stanisław Malinowski and Władysław Kozłowski. The first flight of the prototype took place in 1930 and in the years 1930-1931, 15 pieces were built. Engineer Zygmunt Puławski, when he was just 27 years old, designed a PZL P-1 fighter plane. During its development, the constructor used the technologies used in the production of Wibault 7; external riveting and finely grooved sheet. Zygmunt Puławski also used his own ideas. The first was the "seagull wing", abroad called the "Polish wing". The wing starts directly at the fuselage. Not as it was in the high-wing aircraft mounted on a metal structure of tubes, thus creating a canopy over the pilot, which limited the view. This wing provides good visibility for the pilot from the cabin. Most importantly, the wings had very good aerodynamic properties. 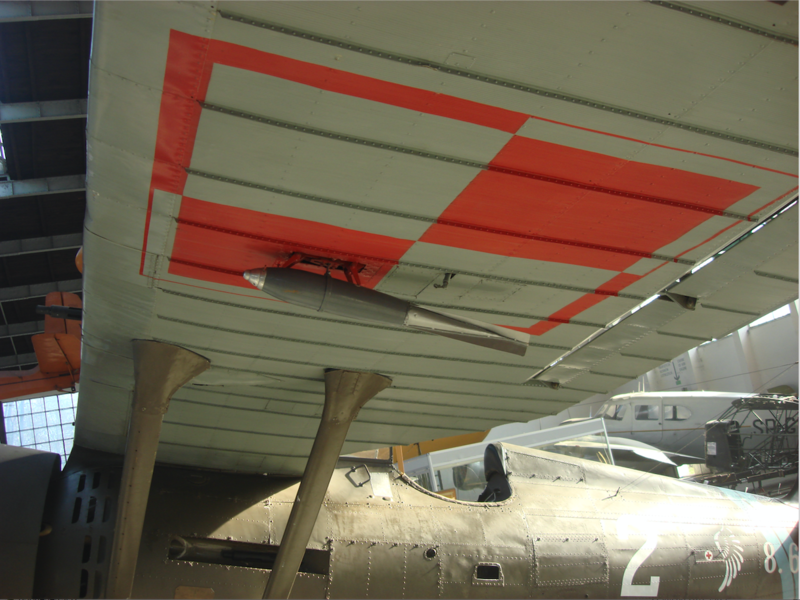 The second solution was a scissor-type landing gear, in which the shock absorbers were hidden in the hull. These solutions are included in P.6, P.7, P.8, P.11, P.24. These solutions made the name of Puławski famous in the world, and in some countries they were used in local constructions; France (Mureaux 170/180, Loire 43/46, Dewoitine 560, Arsenal-Delanne 10), Czechoslovakia (Aero A-102), Yugoslavia (Ikarus IK-1 / IK-2), USA (Douglas 0-31), Germany (Dornier Do-C1, Henschel Hs-121). 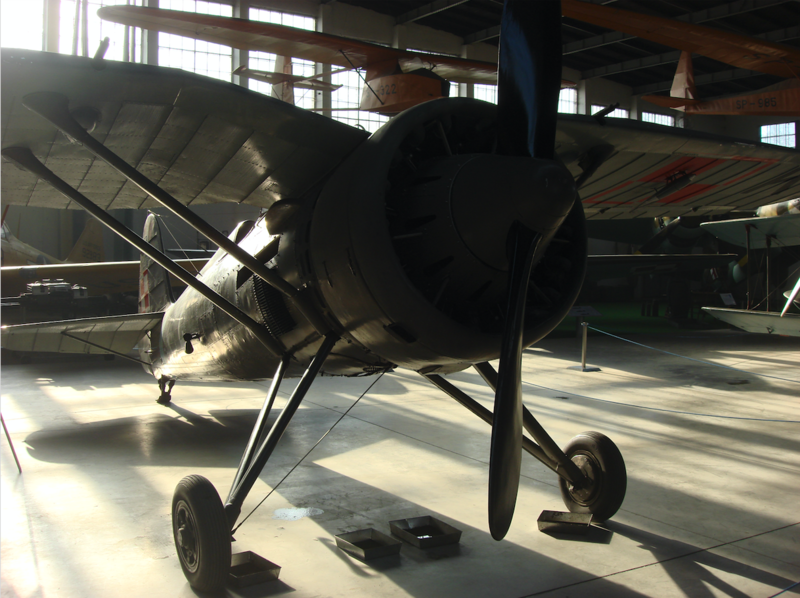 In August 1929, the PZL P.1 prototype was ready. A row engine was used for the drive. The plane turned out to be correct, although it required several corrections. The problem was, however, a weak in-line engine. At that time, there were two views. Some constructors believed that the future is star motors; less weight, better cooling, simpler to use, cheaper to buy and produce. The other constructors believed that the future was in-line engines; smaller face, the possibility of water cooling. Because in Poland the production of engines was just starting, that's why the Polish doctrine relied on stellar engines whose licenses were purchased. Therefore, the engineer Zygmunt Puławski adapted the PZL P.1 plane to the star drive. New constructions driven by this type of engine were created; P.6, P.7, P.8, P.9, P.10, P.11. Although the constructor did not completely abandon the construction of aircraft with in-line engines. Such was initially the PZL P.8, whose prototypes were built in 1931. Similarly with the construction of the PZL P.10. Reconstruction of the PZL P.1 aircraft to the star engine, necessitated the reconstruction of the entire fuselage. At that time, a half-skup construction was used for the aircraft. It was a significant innovation. It was in 1930 that the first successful half-shell airframes appeared at dawn. The first ones were; Northrop from USA, Dewoitine and Nieuport from France and PZL P.6 from Poland. The prototype of the PZL P.6 aircraft made its first flight in August 1930, and at the end of the year it was shown at the International Air Show in Paris. World builders appreciated the plane, its characteristic wings and semi-shell structure. When the captain Bolesław Orliński demonstrated the fighter in the air, the world press recognized PZL P.6 as the best fighter aircraft. It is written that it overtakes all other constructions built in Europe. In 1931, Captain Bolesław Orliński won on this plane in the competition of the best pilots in the world, in Cleveland in the USA. In this way, the PZL factory has established a good brand abroad. A lot has been written about Poland. The PZL P.7 plane is a variant of the P.6 airplane series, which made its first flight in October 1930. 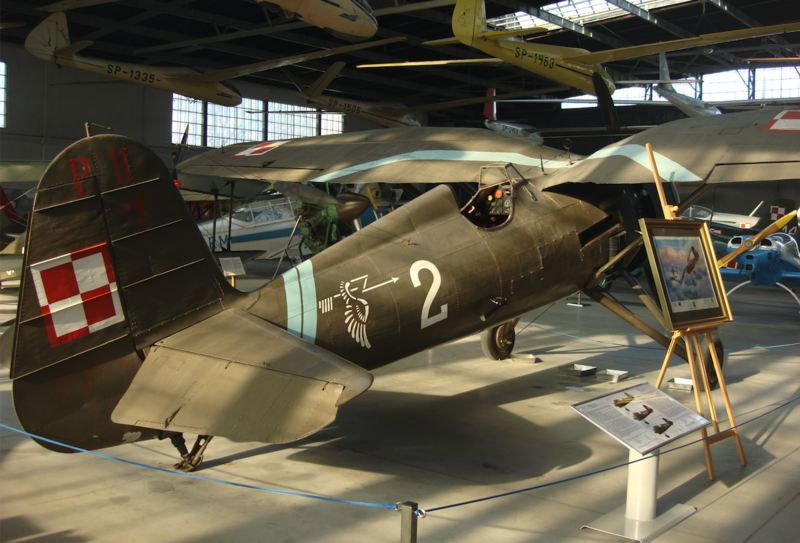 In the years 1932-1933, 150 fighters were built in a factory in Warsaw, which were designated PZL P.7a. They replaced all previously used fighter planes in the Polish Army. In 1933, Poland became the first country in the world with fighter aviation equipped only with metal airplanes, with a semi-shell structure. Zygmunt Puławski's career was interrupted by his death. He died on March 21, 1931, during a flight on the prototype of his amphibious PZL-12. After the death of the constructor, his work continued to lead the PZL construction office, but no one dared to connect his name to Zygmunt Pulaski's incredible constructions. His team developed the company under the direction of Wsiewołod Jakimiuk. The fighter with the new engine received the designation PZL P.11. Mass production started, which lasted from 1933-1936. - PZL P.11a - 30 machines for the Polish Army. - PZL P.11b - 50 machines for Romania. - PZL P.11c - 175 machines for the Polish Army. With a lowered motor and modified vertical tail. - PZL P.11f - is a variant of PZL P.11c, 80 machines built with a license in Romania, in IAR plants. - PZL P.11g Kobuz - due to delays in PZL P.50 tests Hawk, it was decided to develop the Kobuz aircraft with the engine that was already produced, and was intended for Jastrzeb. The production was to begin in the autumn of 1939, in Podlaska Wytwórnia Samolotów. PZL P.11 aircraft were equipped with various star engines: Bristol, Gnome-Rhone, Mercury with power from 379 kW (515 hp) to 618 kW (840 hp). After the construction of PZL P.11c, the world began to become even more interested in airplanes from Poland and wanted to buy them. For our planes to compete on foreign markets, they had to belong to the fastest ones. For this purpose, even stronger engines had to be used. The Bristol engine, manufactured with us, already had less power than newer constructions, and the license agreement forbade us to export these engines. Therefore, there was a need to search for a 736 kW (1,000 HP) engine. The choice fell on the French Gnome-Rhone 14K engine, which at the time was easy to buy. 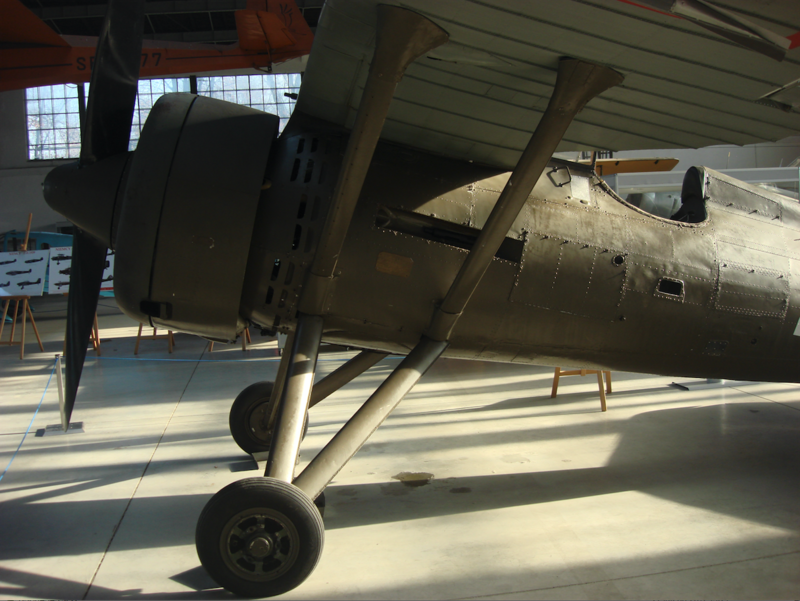 The airframe for this power unit was rebuilt and in March 1933, the plane was flown as PZL P.24. It has developed a speed of 414 km / h and was the fastest fighter with a star motor at that time. We managed to get a few orders and mass production started, which lasted from 1936-1939. She bought the fighters; Turkey, Greece, Romania. These aircraft were also built under license in Turkey and Romania. 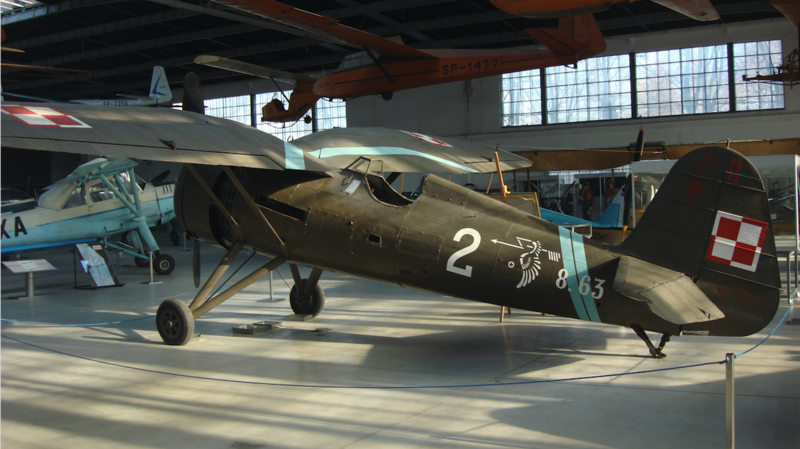 PZL P.24 consolidated the good opinion of the Polish aviation industry. In Poland, PZL P.1-P.24 fighters built 510 machines and another 170 abroad. 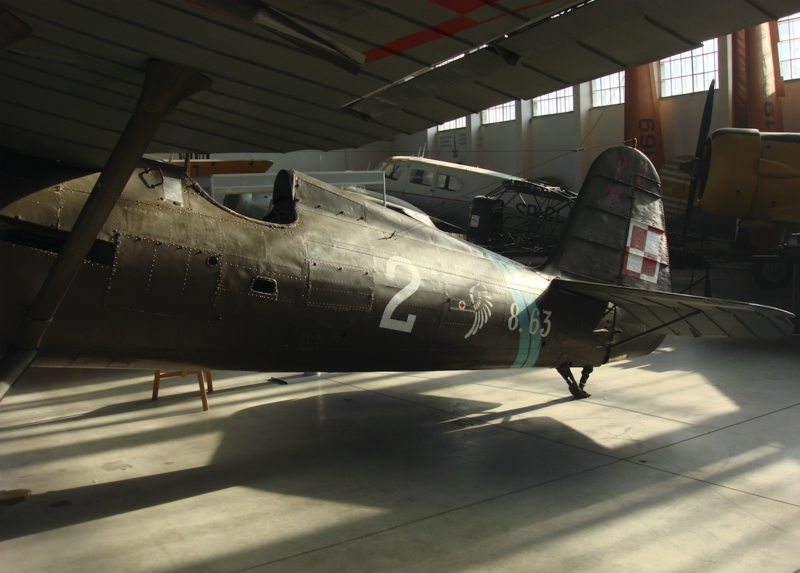 In Poland, the only preserved PZL P.11c plane is in the Polish Aviation Museum. In 2018, the plane underwent renovation. His engine is working. Theoretically, you can make a flight on this plane. However, the plane is so valuable that its damage would be unacceptable.